I’m beyond thrilled to announce that one of my drawings was accepted into a prestigious art show. 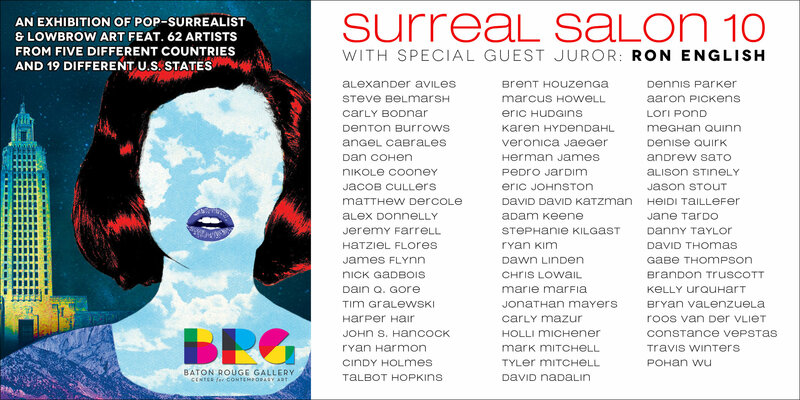 The gallery show is called Surreal Salon 10 hosted by the Baton Rouge Gallery – Center for Contemporary Art. I’m honored that Ron English, the amazing pop surrealist and billboard liberationist, was the judge who made the selection. Out of 600 submissions only 60 made it into the exhibit. Check out the gallery show here. Opening night is a wild costume ball featuring awesome musical acts, tickets are still available. The gallery has set up a store for all the art in the exhibit, and mine is here. I’m honored to be shown with so many other great works.